As I mentioned in my previous post, I have some exciting news to announce today! Elizabeth of Book of Leisure and Brenna of Chic Street Style and I have been planning a blogger link-up series for quite some time now. 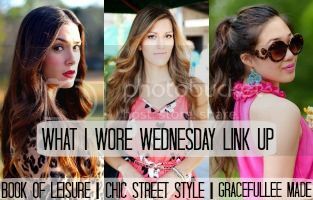 There has been plenty of complications, but we are finally excited to be launching our own link-up series called What I Wore Wednesday. if you've never linked up before, all you have to do is click the 'add a link' button and copy / paste the URL of your favorite outfit post you want to share and click 'Done.' It's very simple! Ever since Impressions Boutique sent me this striped skirt, I've been wearing it nonstop. It's a structure flare skirt that is fit for any occasion. I opted for a preppy look by tying a chiffon black ribbon around my neck with this button-down (seen here). 1. We ask that you please follow the hosts on Instagram: @bygracelee | @elizabetheuna | @chicstreetstyle | and use the hashtag #WIWW when posting on Instagram. 2. 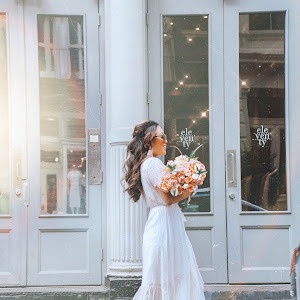 We will pick ONE blog from the link-up and ONE Instagram post from #WIWW to feature on the link-up every week, so be sure to let your friends know! We will also contact you if you are featured! Such a great link up! I love your skirt and boots! 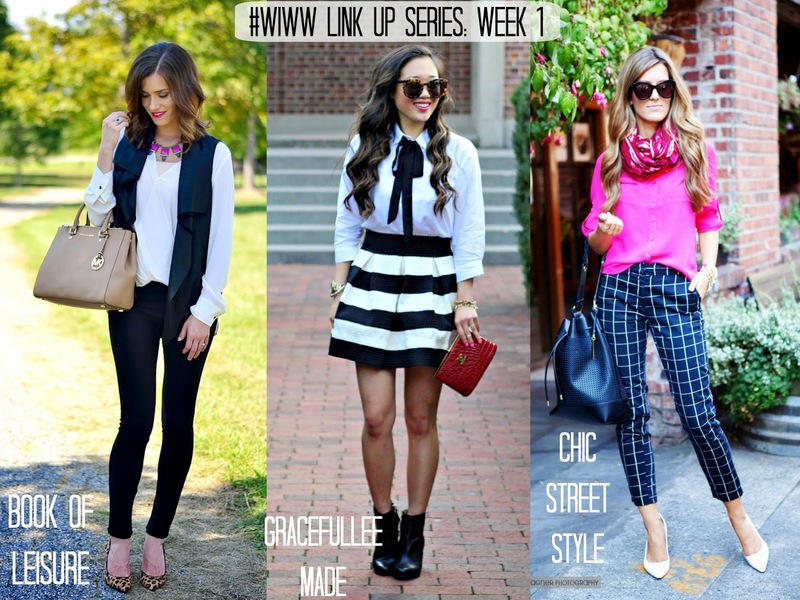 Love this linkup! And your outfit is great, as usual. Love the pop of red! Kind of sort of in love with this look! Glad to join this link up! Link ups are so fun! Love your outfit! oh my gosh, this outfit is adorable on you. love!! Awesome link up and loving this skirt!! Such a great idea, with amazing bloggers!